A common and important statistical technique, multivariate analysis has applications in a wide range of fields of study including subjects as diverse as biology and linguistics. This two part overview provides comprehensive coverage of all the available techniques for analyzing data in this form. The first part, on distributions, ordination and inference, concentrates on basic techniques. While full technical details are supplied, the emphasis throughout is on a readable and user-friendly presentation with ample use of illustrative exercises. W. J. Krzanowski is the author of Multivariate Analysis: Kendall's Library of Statistics, Volume 1 Part 1, published by Wiley. 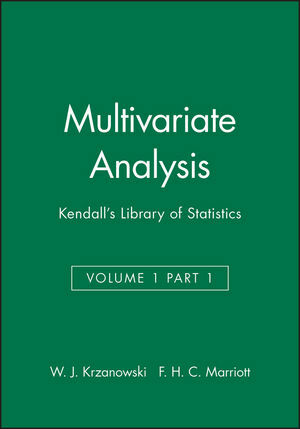 F. H. C. Marriott is the author of Multivariate Analysis: Kendall's Library of Statistics, Volume 1 Part 1, published by Wiley.